Based on the part of the environment polluted, pollution is of three types: (i) Air Pollution, (ii) Water Pollution and (iii) Soil Pollution. Though pollution at times, occurs naturally due to volcanic eruptions, forest fires, etc., it is mainly man-made due to the enormous growth in the human population size. The introduction of chemicals, particulate matter, or biological materials that cause harm or discomfort to humans or other living organisms, or cause damage to the natural environment or built environment, into the atmosphere. What are the C auses of air pollution? Undesirable change in the physical, chemical and biological characteristics of air adversely affects the living organisms. • Smoke from forest fires, volcanic eruptions, etc. • Burning of fossil fuel in automobiles, industries and household. • Smokestacks of thermal power plants, smelters and other industries. • Decomposition of garbage resulting in release of unwanted gases into the atmosphere. • Residential heat like use of air conditions, refrigerator, microwave etc. The air pollutants deleteriously affect the respiratory system of animals. In plants, they cause injury, premature death and reduced growth and yield. It can be in the form of solid particles, liquid droplets, or gases and they may be natural or man-made. • Directly emitted from a process, such as ash from a volcanic eruption. 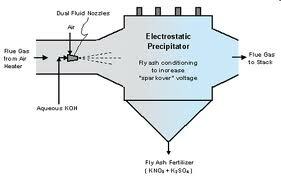 metallic particles, dust particles, soot, aerosol etc. carbon monoxide (CO), sulphur dioxide (SO2) and nitrogen oxide (NO2). • Weak body with less resistant capacity. • Most widely used method for removal of particulate matter; about 99% of particulate pollutants are removed from the exhaust of thermal power plant. • Have electrode wires and collecting plates. The wires are maintained at several thousand volts. • These electrons get attached to the dust particles and give them a net negative charge within a second. • The collecting plates attract the charged particles. • The velocity of air between the plates must be low enough to allow the particles to fall on them. • Used to remove gases like sulfur dioxide from the industrial exhaust. • Used in automobiles for reducing of harmful gases. • Have expensive metals like platinum, palladium and rhodium as catalysts. • Vehicles fitted with catalytic converter should use unleaded petrol as leaded petrol inactivates the catalyst. • Use of catalytic converters in vehicles. • Phasing out of old vehicles. • Use of unleaded petrol and low sulfur petrol and diesel. Do you know? Air pollution not only occurs in outside like acid rain, CFC, it also can exist inside homes. Want to know more about air pollutions? click here to schedule live online session with e Tutor! Connect with online tutor to learn more details about pollutions. e Tutors are ready to help you to learn the effects of air pollutions in a simplest way. Keywords: pollution, chemicals, particulate matter, biological materials, discomfort, humans , living organisms, damage, ozone, emission,natural environment, built environment, atmosphere,pollutants, CFC, automobiles, industry, vehicles,CO2, SO2, NO2, catalytic convertor, Biology Tutoring, Biology Help, Biology Diagrams, Biology Articles.